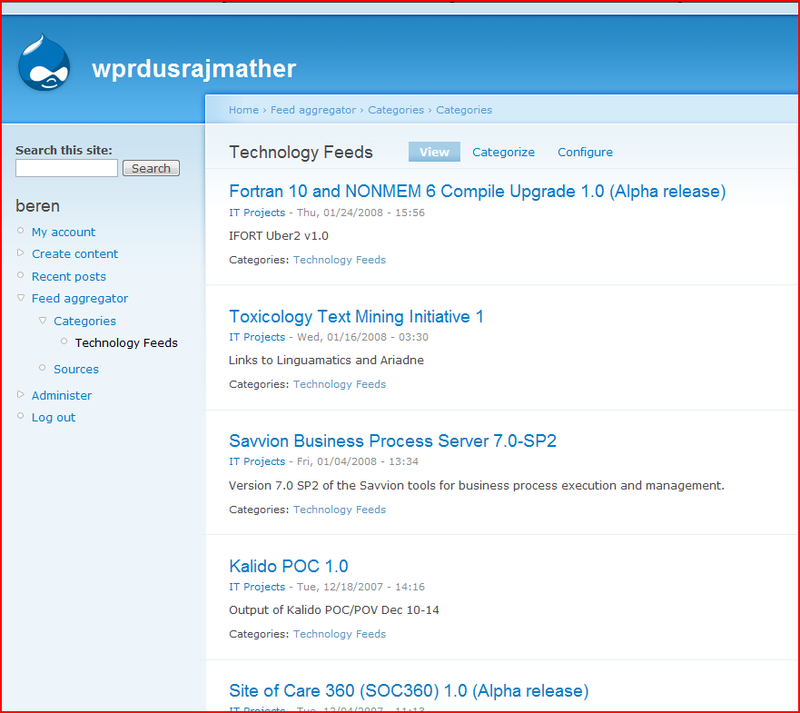 I’ve installed and configured Drupal 6 RC2. I have to say that this is a nice improvement. Across the board there are fine touches starting to appear in the product that are putting it very close to Plone 3 in terms of easy administration and configuration. That may sound like a bank-handed compliment, but if you read my blog regularly you will know it is not. Although my first upgrade of an existing 5.3 site ended in failure, I’m chalking that up to “user error”. Instead of wallowing in self-loathing, I decided to just do a clean install with 6 and check out the functionality. You can read for yourself the new stuff in version 6, what I’ll do here is simply talk about the things I like. There are still some things that you cannot configure within the system, but this is now mostly at the module level. For example FCK is not packaged with the core so you have to grab this and muck around a bit to get it working. I can’t imagine why its not package – or have some rich text editor packaged in the tool, but installing it isn’t that hard. There are a bunch of things to do, but unlike with 5.3 I did get everything working without needing to grab the IMCE (which is good since there isn’t a 6.0 release of that yet). 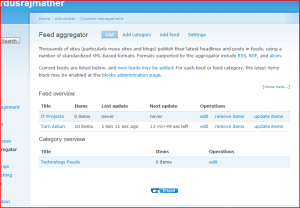 Two of the most used components have been reworked quite a bit for Drupal 6. 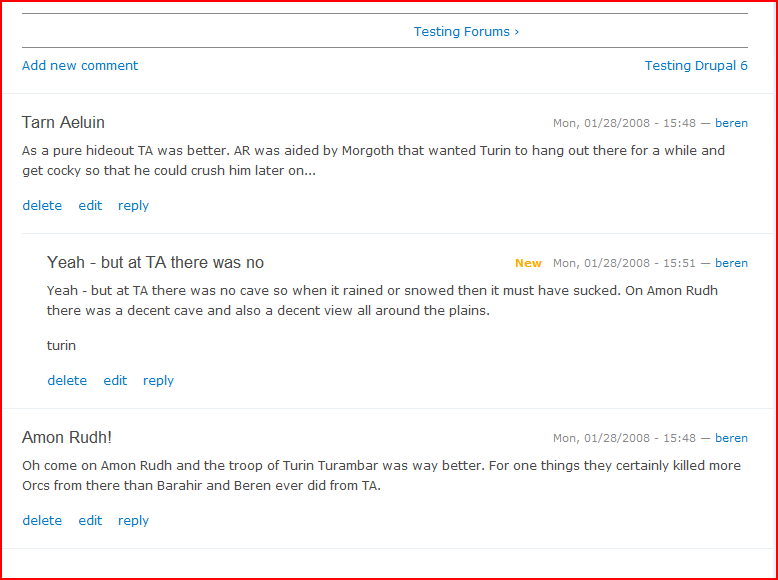 The Forums modules and the Book module have a lot incremental improvements that add up to a much better user experience. In the Book module there are now nice AJAX controls for re-ordering your book index – this is really nice. 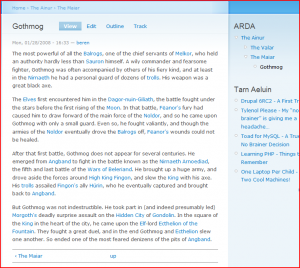 The navigation is quite nice with the books. Frankly we are using these to eliminate alot of the chaos induced by part-time wiki-ers within sites that I work with. 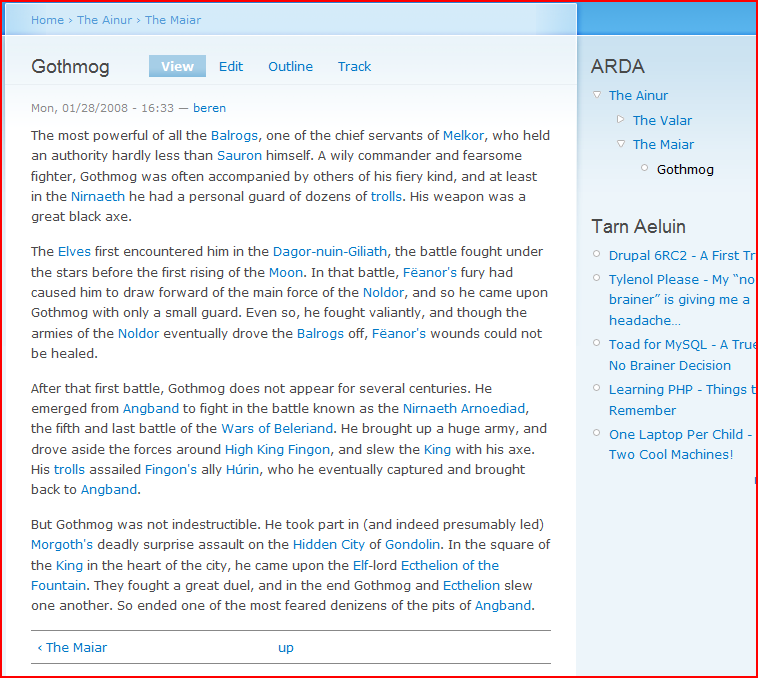 Books are easier to manage, easier to search, and the navigation is really nice. 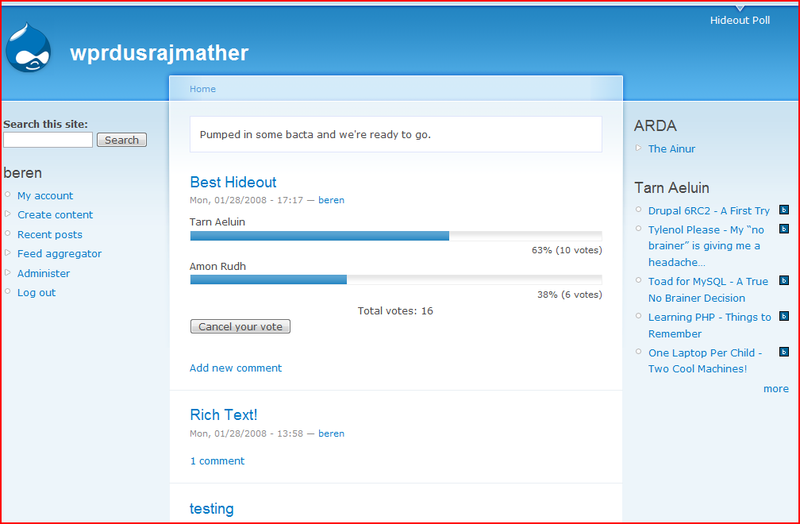 You can also now include a poll within a forum..but I can’t seem to figure out exactly how to do this…d’oh! 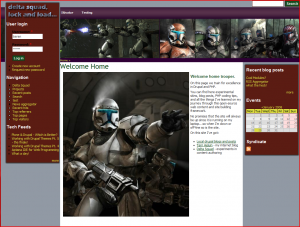 Themes – Do the Troopers Work? I’m also working on another theme on Saab’s Turbo-X car. When using the Book’s re-indexing functions the views are not formatting correctly in the columns and stuff. When using FCK the browser window is rendering slowly so that you see a blank textarea prior to FCK appearing. This could be a pre-release issue. In general there is not too much error reporting to know what is wrong. Generally I get a blank screen when something is very wrong and there isn’t much in the logs. That’s not too good. This is not a 6 issue, but is in general true of Drupal. 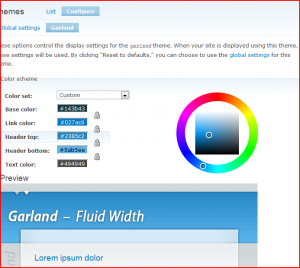 This is a big upgrade for Drupal – the tool is really starting to show maturity and depth. Congratulations to the Drupal team on their hard work. I’m going to keep on testing and using Drupal. Highly recommended to go for it. Nice review. You touched on some of the features I find important, such as the forum and AJAX in admin. Yes, let’s get an editor into core Drupal soon. Thanks for your time to share your observations and screen captures. Go to Administer >> Content Management >> Taxonomy. On the “Forum” vocabulary click “edit vocabulary”. 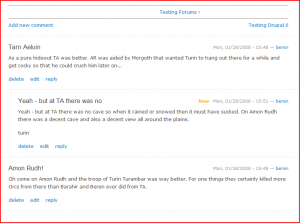 Tick any content types you want in forums. Not as friendly as it could be. I found it by accident. How do you turn on the book module. i’ve been scouring the drupal site for this simple thing, as i’m working on a book and would love to structure my chapters like a book instead of like a blog (which is how it is going so far). Also, is there a way to change content types (for the many chapters i’ve already written, would like to change them from story/blog type to book chapter type). I don’t see anything in the admin section on how to make a book or anything. I’m using Drupal 6 on Windows xp (WAMP) system. Thanks for any help. You should be able to just do a “Create Content” from the main menu, then pick off book entry, then exapnd the book outline and pick off “create new book” and you should get a new book. 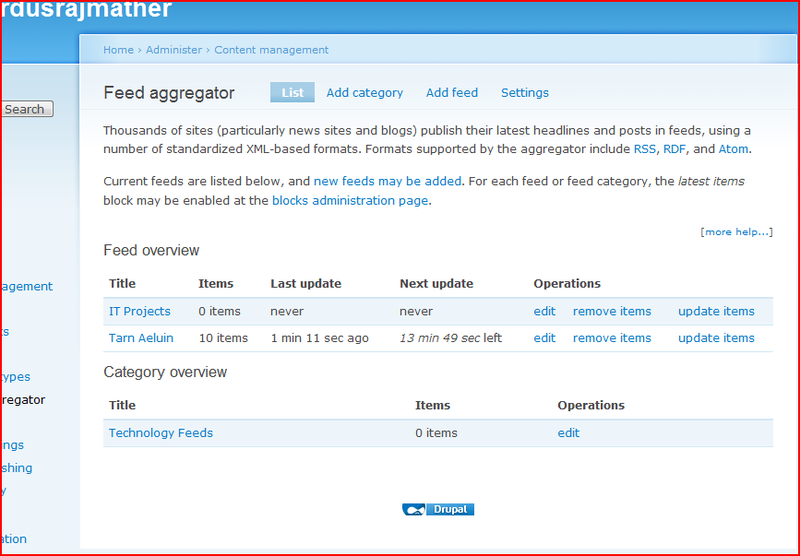 You can add a book block then to your page in the admin module section too.